Most of us love roast potatoes but who wants to be bothered with peeling, par boiling etc after a long day at work? With my straight from the freezer method you can have lovely crispy roasties any night of the week! 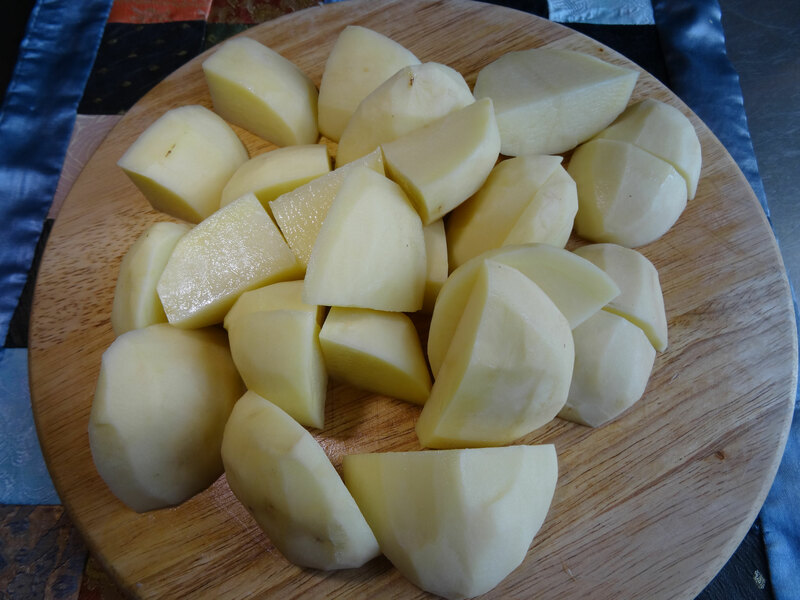 Your choice of potato ideally a good "all rounder".I used about 2lb of Wilja potatoes. Freezer bags & waterproof marker pen. Chop the potatoes so that they are roughly the same size. Place in a large saucepan of boiling, salted water & cook for 7-10 minutes but no longer, you want the edges very slightly fluffy but not falling apart. 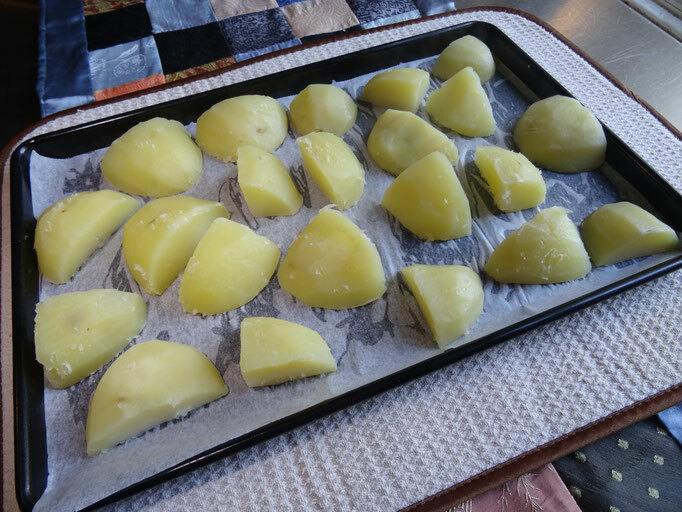 Drain & allow to cool then place on a baking sheet lined with greaseproof paper. Put the tray into the freezer. Once the potatoes are solid remove from the freezer & transfer to a freezer bag labelled with the date & contents. Freezing the potatoes on the tray first will stop them sticking together in the bag! Pop them back into the freezer until you need them. Pre-heat the oven to 190 Fan/200C/Gas 5. Crumble a vegetable stock cube into a small bowl. 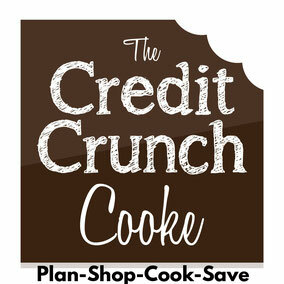 Place the desired amount of frozen potatoes into a bowl & drizzle with about 2 tbsp of sunflower oil. Season with salt & pepper then sprinkle over the crumbled stock cube-this will make the potatoes extra crispy! 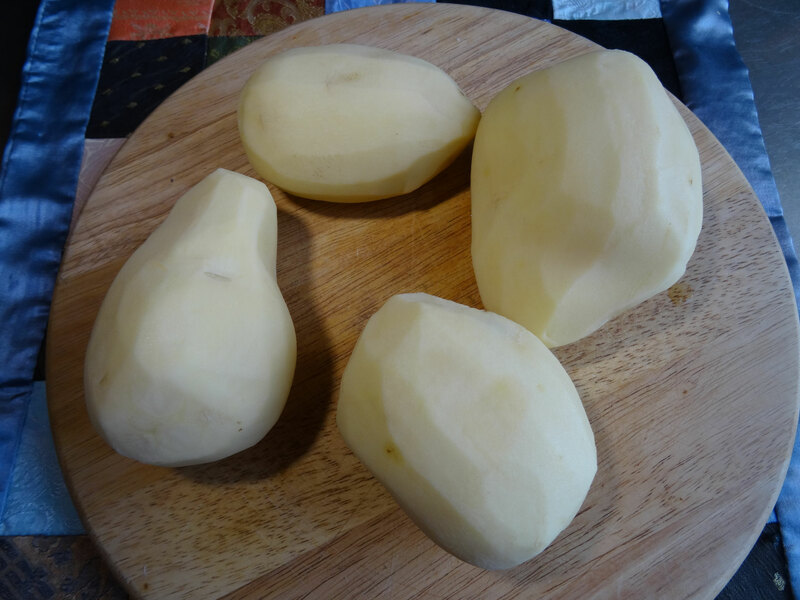 Toss to coat them then place the potatoes into to a baking dish or tin. Place into the oven for 25-30 minutes until the potatoes are golden & crispy.